Why does Germany need reconciliation? 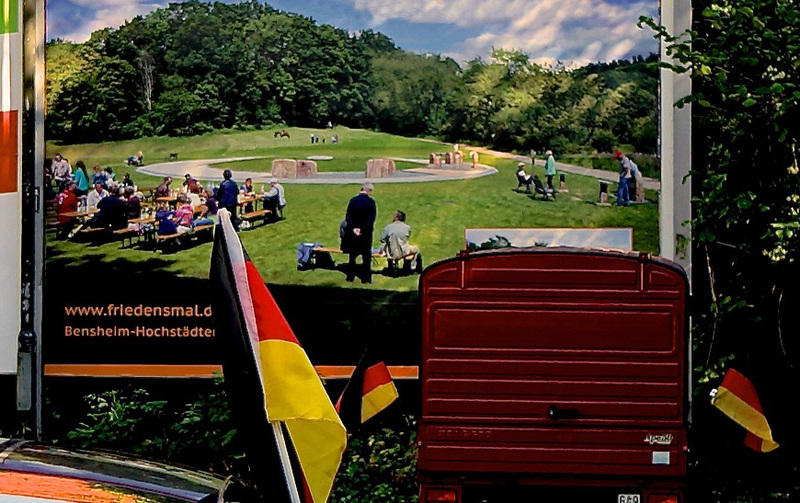 The sense of German identity remains fractured after the atrocities of National Socialism. The wounds of the past must be healed. The Circle of Peace (later added: "with the Border Stone in a Garden of Freedom") is a sign of reconciliation between nations and people and a sign of healing oneself. It is important to remember the past and the connection to our own roots, even if this hurts. However, we must also have the desire to transform the burden of the past into a blessing for the future. What spiritual insights can be discovered? These are necessary to construct a future, for the fundament of our millennia-old culture is spiritual! To make sure it offers a contribution, it must become visible in the symbols constantly made by a culture, it must become visible in our commemorative culture. Of course, there are Peace Monuments in our society, former war monuments that now make an appeal for peace, but these have not managed to establish a vivid commemorative culture that speaks for peace in and of itself. Our current German society has a culture of admonishing memorials wich remind of a dark past. Without the idea of peace rooted in the hearts of people, however, there cannot be peace in the world. One glance at the newspaper is enough to understand that the past is in no way overcome. This takes away the energy necessary to design the future. This act of overcoming – the blessing – must be reflected in the way we commemorate and materialized in our monuments and symbols. By stepping over the Threshold of humility, into the Circle of Peace, we take our first step on the true path inwards, no longer just turning around ourselves. This allows people to enter into real relationships, because they are finally connected with themselves and their own hearts. This process makes it possible for the inner creative force to start flowing, and a new future becomes realistic. This applies both personally as well as nationally. The Circel of Peace was created to represent the next step in the evolution after the Berlin Holocaust Memorial – it is not an antithesis, but rather a synthesis of the representation of suffering and its transformation.